WARNING: Some SPOILERS ahead for Black Panther. You have been warned. 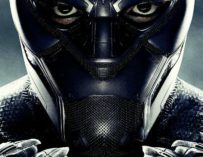 Having received widespread critical acclaim (including from us), Black Panther looks set to be a commercial runaway as well, signalling another smash hit for the MCU. 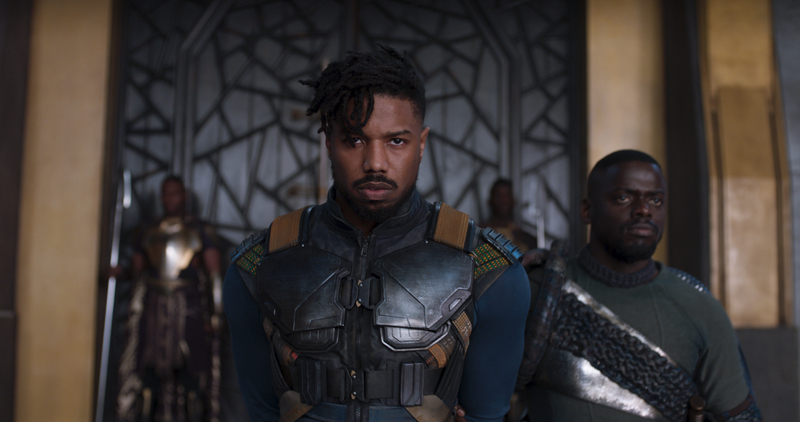 There is a lot to love about the movie, but one of the most striking elements about it, which I felt I had to talk about, was how terrific both Michael B. Jordan and his character were within the film. 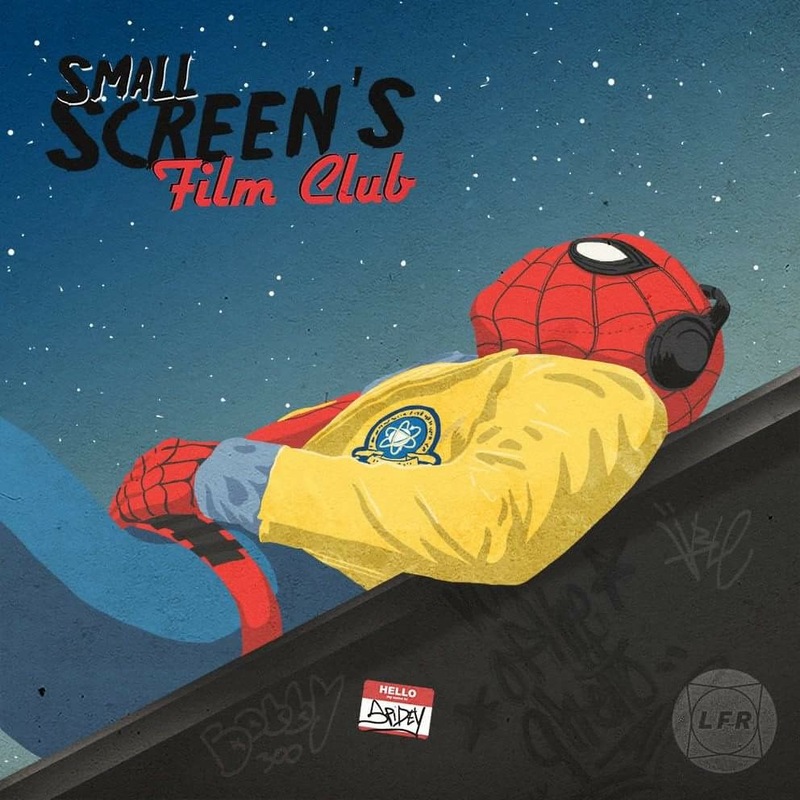 First, there’s the fact that this gives Jordan some much-needed redemption when it comes to his roles in a Marvel movie (we need never talk about that other one now). Not only do I think Killmonger is a brilliant villain, but I think he might be the strongest villain in the MCU to date. Now, I know that might not be saying a lot, given that the track record for villains within the MCU has been varied, to say the least. Even the franchise’s biggest fans tend to admit that the antagonists of the series rarely live up to their adversaries. However, when it comes to Killmonger, there are all the makings of a truly great cinematic villain that not only stands as a genuine threat to the hero but also acts as a compelling figure on their own. Could Killmonger be the best Marvel villain ever? Firstly though, I want to briefly address some core components of what makes a great villain. For me, the most critical aspect of a strong antagonist is how they relate to the protagonist. I don’t necessarily mean a physical relation either. What I want from a great villain is someone who the hero can learn from and develop as a result of their conflict. They are not just a random obstacle; they are someone whom without the hero would be fundamentally different in how they evolve. I think Killmonger embodies this perfectly. His relation to T’Challa forces the titular character to confront the mistakes his predecessors have made. 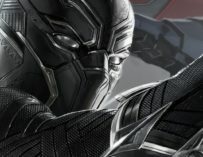 At one point in the film, he describes Killmonger as “A monster of our own making”. He stands as a direct link to the flaws within T’Challa and to overcome his adversary he must directly confront those flaws. 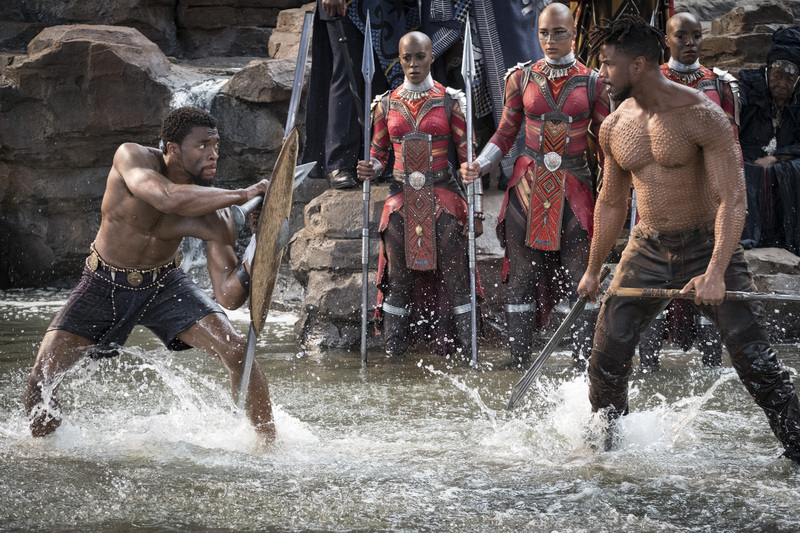 He has to change and only through doing so does he find the means to defeat Killmonger. This ties heavily into another aspect of a particularly strong villain that Killmonger represents. There is an ideological conflict on display as well as a physical one. Killmonger does not just embody a physical threat to T’Challa and the rest of Wakanda; he emerges as a constant opponent to their beliefs. He plays into the doubts some of T’Challa’s allies have about their king and exploits them for all they are worth, but that exploitation comes from a fundamental belief Killmonger has that what he is doing is for the best. Better yet is that the movie doesn’t treat Killmonger’s ideologies as outright evil, or anything close to that in fact. He is the antagonist of the film because of his actions, but his beliefs have a lasting effect on the way our hero evolves because the film’s end we are not looking at the defeated opponent, but one whose ideologies the hero has compromised with. 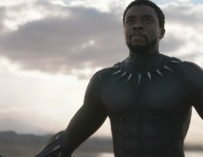 The fact that the last scene of the film takes place at the spot where T’Chaka murdered his brother shows that T’Challa is not willing to forget the lessons he has learned from the conflict. That brings us onto Killmonger’s motivation, which is as empathetic as they come. His motivation isn’t just sympathetic; it’s outright understandable in its own right. Not only do you see the clear route that has led him to believe what he stands for, you can’t help but empathise with him as he goes along. 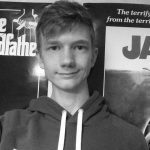 There is great complexity to how he interacts with that motivation as well thanks to the brilliant scene in which he speaks to his deceased father. It lends itself to the idea that a great villain is the hero of their own story. 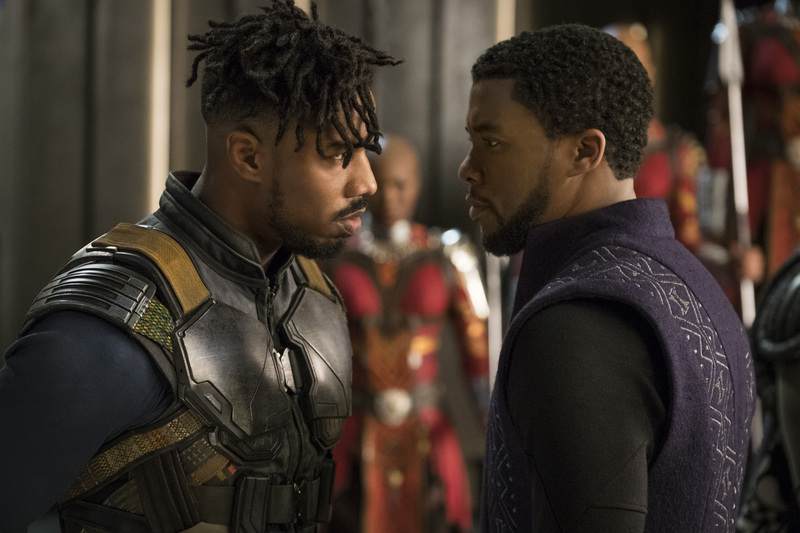 The villain of Black Panther believes that Wakanda and the world as a whole would be better off with him on the throne. He has a desire to ensure that no one else in the world will have to endure the trials that he has, by any means necessary. Most of all though, the person who is affected by Killmonger’s ideas is the man who defeated him. 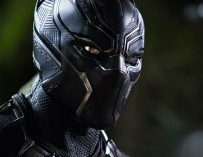 He is not some disposable tool in the plot; he is essential to both the film and the character that carry the name, Black Panther.